Competing as an elite athlete and studying at UNE full-time is no easy feat. But then 19-year-old equestrienne Phoebe Wilkinson has never been one to shy away from a challenge. She travels thousands of kilometres each year to represent her state and country, and regularly challenges Olympic medallists twice her age in the dressage ring. Phoebe is one of 30 elite athletes enrolled at UNE this year – a list of world-class competitors that includes triathletes, boxers, cyclists, cricketers, footballers and even aerial skiiers and snowboarders. “I’ve been a member of the inter-state equestrian team since I was nine, I’ve represented NSW in the interschool national championships for the past nine years and been a national champion for the past three years,” said Phoebe, who has just completed the first year of her Urban and Regional Planning degree at UNE’s Armidale campus. That she’s been able to successfully combine study with world-class competition is, Phoebe says, a testament to her organisational skills and being a part of the UNE Elite Athletes Program. “As a national competitor you have to be capable of critical thinking and know how to channel your nerves,” Phoebe said. “My riding has taught me to maintain balance and to stay focused, which is useful in my studies. “But I actually think my riding has improved since I started uni. Because I have limited time, I am not mucking around when I do get to ride. “Uni has also given me more confidence to ride against adults. The only downside of this double act is that Phoebe’s beloved horse – Greenoaks Munich – is stabled at her family home in Sydney. But that, too, may soon be remedied. “Now that I am settled at uni I am thinking about bringing him up next year and competing on the New England circuit as well,” Phoebe said. Enrolling at UNE has proven a good fit for the country girl, who spent much of her childhood in the Hunter Valley of NSW. And it’s to the country that she would like to return after completing her four-year degree. “I love the idea of planning for better cities of the future,” she said. In the meantime, as a member of the UNE Elite Athletes Program, Phoebe enjoys daily sessions at the UNE gym and flexibility with her studies. “We work with athletes to develop a study plan and offer them leeway when their assignments and exams clash with major competitions here and overseas,” program coordinator Lisa Rice said. “Most students are external and we have exam centres across the globe that they can use. Although the program is just over a year old, Lisa said numbers have grown dramatically. “It is an attractive feature of learning at UNE,” she said. 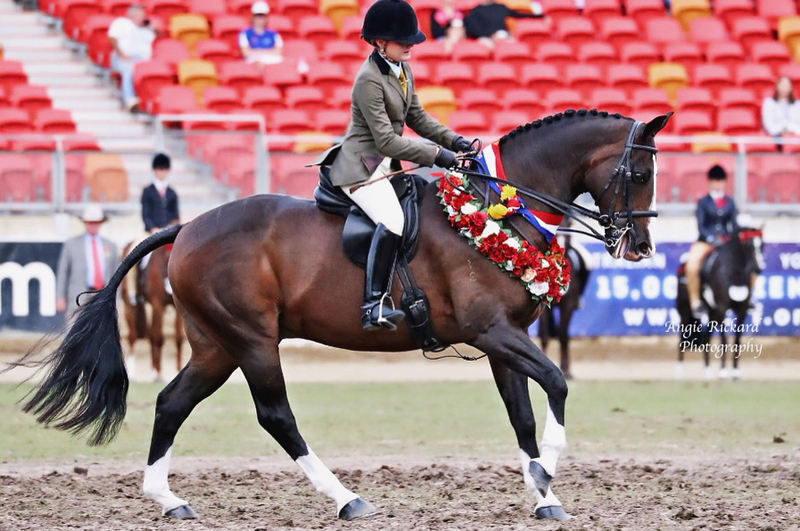 Following success on the dressage circuit this year – Munich was named champion show horse at the Sydney Royal and the pair won the medium dressage event at the national championships in September – Phoebe is now in training for a busy 2018. “There are the State championships in January, followed by the Grand Nationals at the Sydney Equestrian Centre and then the Sydney Royal again, so it’s full-on,” she said.